Utilize a non-partisan, collaborative, common sense, goals-focused, problem solving approach to identify needs and implement solutions to enhance and improve the fiscal health and quality of life in our community. To continue bringing people together who have a common vision and goal to work together with government, businesses, community and other organizations, to implement public-private partnerships where appropriate, to achieve those objectives. 1. Continue using the public-private partnership model to work with the Milwaukee County Parks Department, Village of Hales Corners, Hales Corners Chamber of Commerce, the Friends of Hales Corners Park & Pool and other entities to improve and enhance Hales Corners Park. 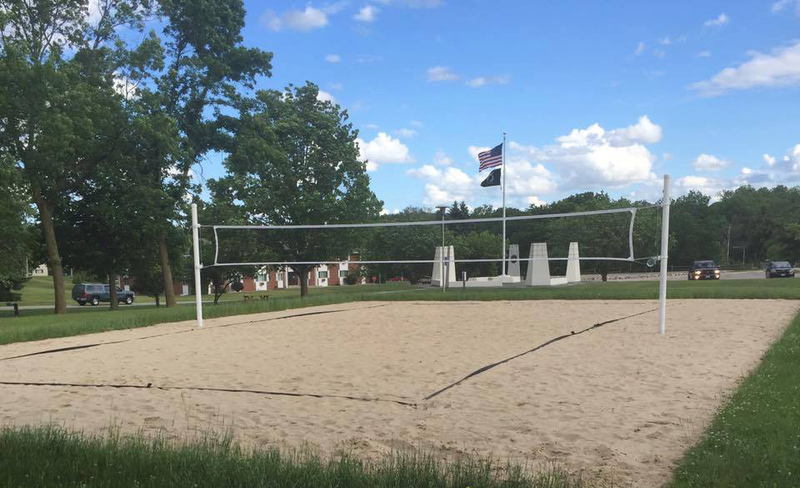 The most recent project was completed in the fall of 2015- 50 x 80 volleyball sand court project that will be ready for community to utilize and enjoy beginning this spring. 3. Work with Village citizens to create neighborhood associations throughout the Village to encourage and enable our residents to take ownership of their neighborhoods. Wauwatosa and West Allis have neighborhood associations and they are making a positive impact to those communities. 4. Continue to demonstrate fiscal responsibility to Hales Corners residents by working within our budget and finding creative ways to finance projects necessary to maintain property values within our community. Worked with the Hales Corners American Legion Post and the Veterans of Foreign Wars and the Friends of Hales Corners Park & Pool to develop and build the Veterans Memorial & the sand volleyball court. Established the Hales Corners Chamber of Commerce. Rechartered after being defunct for 26 years. 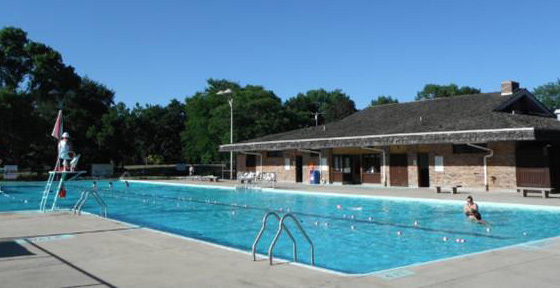 Worked to get the support and confidence of our Milwaukee County Supervisor who then was able to pass an amendment to get funding for the first time in fifty years for a new roof & pool liner for the Hales Corners Pool house. The Friends of Hales Park & Pool raised the funds and built this volleyball sand court. Community volleyball leagues were played on the court all last summer and will every summer. Dan ODonnell interviewed Don Schwartz on July 11, 2017 about the Alyson Dudek International Ice Center and the Jerry and Dorothy Holz family shelter projects coming up in Hales Corners Park. I would like to take this opportunity to write a letter of recommendation for an individual who is an outstanding educator, an individual who puts children as a top priority, and the most influential and successful community advocate that I have had the privilege to work with over the past twenty five years. Don is one of those unique individuals who not only has a clear vision and goals for our community, but he also has the ability to communicate that vision in a very positive and inspirational manner to young and old alike. His direct, caring, friendly, and enthusiastic manner is extremely motivating and inspirational for students, parents, and our entire community. One very positive example occurred in 2003 when the Hales Corners community pool was slated for demolition by Milwaukee County. Don used his political skills to work directly with the Milwaukee County Parks Department to find out what it would take to have this decision reversed. He organized the entire community in a fund raising effort to raise almost a million dollars to maintain and preserve our community pool. And of course, what would compliment a pool in our community? How about the Alyson Dudek International Ice Center. 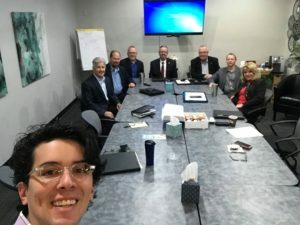 Don realized how much our entire community would benefit from this project and in within three short years we not only have the ice skating rink for current and future generations to enjoy, but we also have a park pavilion scheduled for construction in the coming year. The list of Don’s contributions to the community is quite extensive. From serving on the Village Board, to serving as the driving force for our Veterans Memorial Project, to re-establishing and re-creating the Hales Corners Chamber of Commerce. Don not only participates and is a strong proponent of public-private partnerships, he gets things done! I personally appreciate someone with a positive attitude who not only puts the needs of others first, but has the ability to convey that positive attitude to everyone in our community. Don is a tireless worker who has demonstrated a willingness to donate thousands of hours to provide the foundation necessary for success. Yes, it is a great achievement to be an outstanding educator, but when you take those skills and use them to positively impact a community, you have something very special. The Village of Hales Corners would not be what it is today if it were not for the inspirational and organizational skills of Don Schwartz. With his ability and positive attitude, he has touched the lives of countless families and community members of all ages. If you have any questions or desire any further information, please do not hesitate to contact me. As an architect who has studied the work of Frederick Law Olmsted, perhaps the greatest of America’s landscape architects, I am enamored by the necklace of parks he designed in Milwaukee County. Beautiful parks require money to remain beautiful and amenities to remain relevant. Hales Corners Park and Pool are beautiful AND relevant because of the tireless efforts of Don Schwartz. I have known Don professionally for 17 years and have had the distinct pleasure of working with Don on two of Hales Corners Park’s recent projects, the Veterans Memorial and the Alyson Dudek International Ice Center. I know few people as tenaciously committed to the success of their communities as Don. Whether leading his team during visioning meetings, or mounting aggressive capital campaigns, Don builds momentum, consensus and public-private partnerships to turn dreams into reality. It is not an overstatement to say that a majority of the civic improvements made within the past 15 years in the Village of Hales Corners, Wisconsin, would not have been accomplished without the vision, commitment, and hands-on leadership of Donald G. Schwartz. 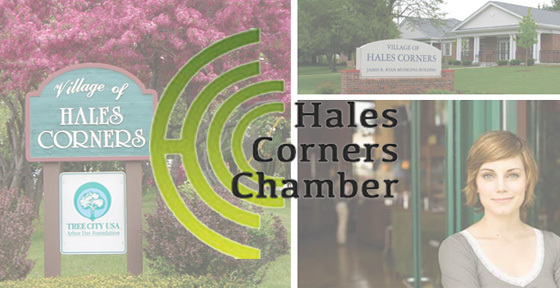 • Re-establishing the Hales Corners Chamber of Commerce, which had been defunct for more than 26 years. citizens’ organization formed to rescue the local park and pool targeted for demolition by Milwaukee County. by residents of southeastern Wisconsin. resulted in the construction of the Hales Corners Veterans Memorial.
. Don is one of only 10 Village residents whose contributions to our community were deemed so significant that they were documented on individual pages in the book. The American Legion Post 299 and the Veterans of Foreign Wars Post 10394, both located in Hales Corners, Wisconsin, decided to join together on a project. 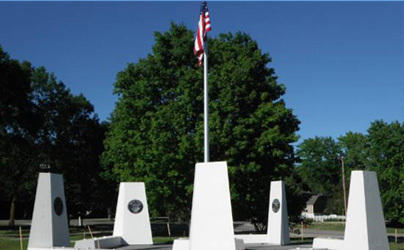 Their desire was to finance, plan, and build a veterans memorial. The first step was to get a committee together consisting of members of each group. I am proud to say that I am one of the original members. After a few meetings we realized we needed more help. We needed architects, bankers, construction companies, and someone experienced in the ways of government. One of the volunteers was Donald G. Schwartz. He is a Hales Corners Village Board Trustee. His expertise was in the public and private sectors. Not an easy job. Don assisted in every aspect of the building of the Veteran’s Memorial. He attended many meetings on his own time, usually at night. He applied for and received the various permits. He laid out the timetable for every project and he let us know who to contact and when to contact them. He made things happen at all levels of government and in the private sector. Two of Don’s successful public assignments were to assist in the organization and emcee both the groundbreaking and dedication ceremonies. We broke ground on September 11, 2011, we started construction in April of 2012, and the dedication was May 28, 2012. Prior to the ground breaking ceremony Don contacted local, state, and national politicians and arranged from them to participate and to speak at this event. He set the program and emceed the ceremony. In planning for the dedication ceremony in May, 2012, Don again contacted the various community leaders, police and fire departments, local high schools, and several veterans groups to participate in the event. He assigned responsibilities to each group. He created an agenda and communicated this to everyone. On the morning of the dedication he made sure each group was in their assigned place and they knew what needed to done. Again Don was the emcee for this ceremony. It started on time and it progressed with dignity and reverence. Don is not a military veteran. After working with him the members of the Veterans Memorial Committee realize he has a great respect for any man or woman who has served their country with honor. He continues to be active on the Veteran’s Memorial Committee. 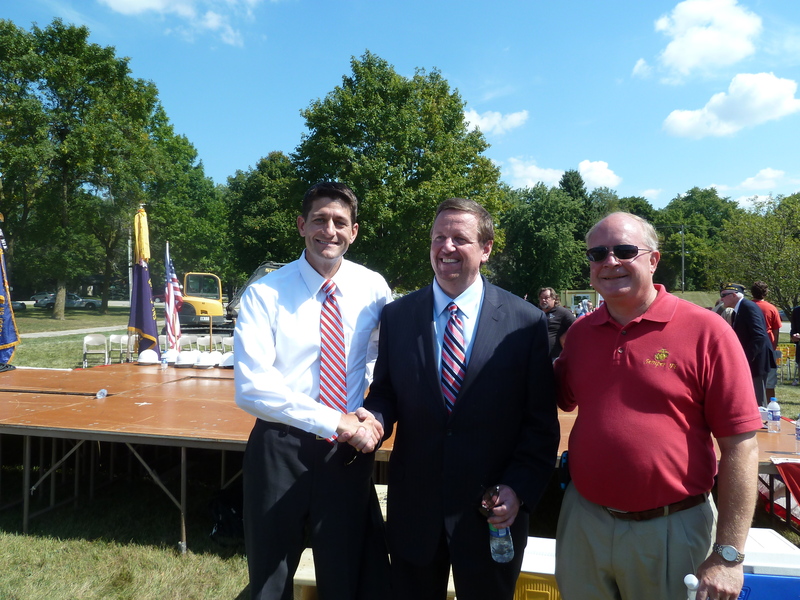 He has and continues to contribute to the success of the Memorial and to the citizens of Hales Corners, Wisconsin. I am delighted to nominate Donald G. Schwartz and the Friends of Hales Corners Park and Pool for the Public-Private Cooperation Award through the Wisconsin Policy Forum. Throughout my time in the Village of Hales Corners, there has been one name that is constantly at the forefront of action in our community: Don Schwartz. Don has dedicated his life to enhancing our Village, bringing together local government and private individuals and businesses. All of Don’s greatest accomplishments in the community were a collaborative effort between the public and private sectors. Don’s role as a Village Trustee has given him a platform to bring change in great ways. In 2003, Don organized and spearheaded the local effort to save our public park and pool from closing. He created the Friends of the Hales Corners Pool, a public-private collaboration to raise money to not only save the pool from closing but renovate and renew life to our park. 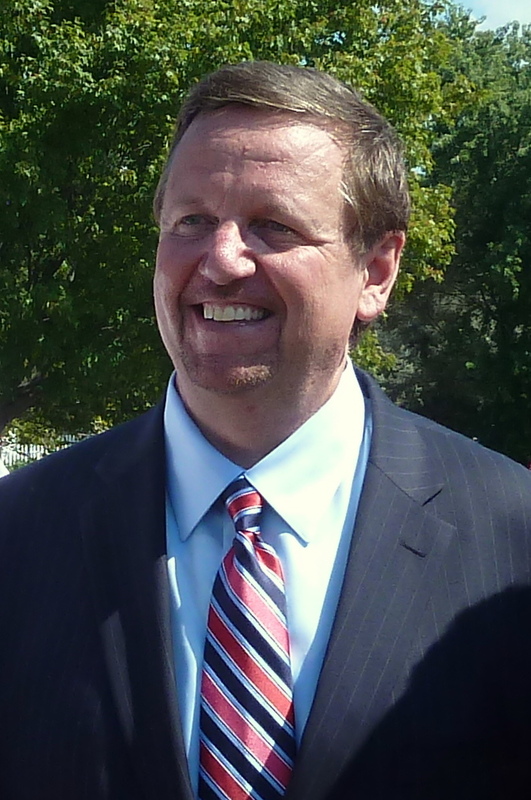 To amplify his relations with the private sector, Don became the president of the Hales Corners Chamber of Commerce in 2008 and led the organization until 2016. He capitalized on the relationships he formed in the Chamber of Commerce to help see our local shopping center renovated which in turn, brought new retailers and enhanced our local economy. Don is currently leading two simultaneous efforts to once again bring new life to our local park. He has been working tirelessly for the past several years to create the Alyson Dudek Ice Center as well as the Jerry and Dorothy Holz Family Shelter to honor our local Olympic medalist as well as a long-time local business owner and philanthropist who recently passed away. I know Don best through is work on the Hales Corners Veterans Memorial Committee, of which I am former Co-Chairman. Don was our committee’s Village Liaison whose knowledge of the interwoven public and private relationships in our committee was instrumental to raising over $200,000 in private donations and ultimately erecting a monument to honor our veterans. Collectively, Don has raised over $2 million in private and public funds to bring economic growth, restore our public parks and enrich the lives of every member of our community. Through Don’s leadership of the Friends of the Hales Corners Park and pool, we have been provided with indispensable lessons to be learned for any public official or private citizen seeking change. First, is his unwavering commitment to the community. For Don, Hales Corners and its citizens come first, and he will not relent until his goal is reached. Second, Don’s examples of sacrifice and servant leadership are unparalleled. He has surrendered countless hours, days and weeks to seeing our community thrive. Last, is his ability to network and sustain quality relationships with businesses and private citizens. His connections have led to the success of many of his fundraising campaigns for our local park. The Friends of the Hales Corners Park and Pool have done amazing things under the leadership of Don. Our community has never looked better than it does now that Don has created a space for all of us to enjoy ourselves and the company of others. I have known Don to be a very genuine and caring person, driven on how he can assist people and their causes. Once you meet Don, you will see this immediately. He will awe you by his memory of people he knows and what they do. I was present in a Hales Corners Chamber of Commerce Meeting and he literally went around each table and introduced everyone by their name and what business they represented. There were over 100 people in that room. It was very impressive as some of these people were just introduced to him that night! Don and I participate in a couple networking groups together, The Milwaukee Breakfast Club and 121MKE. Don has assisted many members in both groups with the connections he knows. He is well-liked and is always a true professional. I would not hesitate in referring people to Don. Donald Schwartz from Gerald Nell Inc. is pure excellence. Last week, the 121MKE group had the pleasure to learn more about Donald’s heritage, his Ancestry, and how he helped their community succeed. It is easy to see how his energy and passion has helped him be so successful in the private and public sector by helping them work better together to achieve their goals. If you know Don Schwartz, you probably met him at a community service event. Our introduction was over 20 years ago at a PTO fundraiser for Hales Corners Elementary School. Since then his volunteer work has grown to include projects for St. Mary’s, the Hales Corners Historical Society, and the Whitnall Park Rotary Club. When Don sees a need he jumps in to fill it. When our local pool was threatened with closing in 2003, Don founded the Friends of Hales Corners Park & Pool and he has worked tirelessly since then to keep it operating – despite the constant cutbacks in Milwaukee County’s Park system. He also founded the Hales Corners Chamber of Commerce and served as its president for eight years. Don never misses an opportunity to promote local businesses either by email or word of mouth. Additionally, he played a vital role in the building of our Veterans Memorial. Don was elected a Village Trustee 16 year ago. He understands the challenging issues our community faces and encourages input from all stakeholders to develop workable solutions. Don is both enthusiastic and committed to Hales Corners. He not only gives unselfishly of his time and expertise; he excels at motivating other community members to so the same. I hope you join me in voting for his reelection. It is a sincere pleasure to write this letter of recommendation in support Don Schwartz. I have known Don for the past 8.5 years, first as a high school principal and then as a school district administrator. From the moment I met Don, I recognized in him a deeply rooted passion for people and for enabling others to actively pursue their brightest futures. Don is always a forward thinker, an optimist, a problem-solver, and humanist. At the high school, we constantly struggled with ways to involve students in their community. I met Don at a local event, and once we started talking, I knew that the doors would open. Because of Don, we were able to establish a partnership with the Village of Hales Corners Fire/EMT Department. To this day, the department takes on up to two high school interns as EMTs every year. These students have gone on to college and secured jobs or even continued their educations because of this opportunity. Mr. Schwartz is never one to stop at just one success story. There are many, many instances where, formally or informally, Don has made this community, this area, into a better place for all. Be it his extensive work in truly saving the Hales Corners Pool, celebrating our home grown Olympian via an ice arena in the park, or facilitating job and internship placements for high school students, Don Schwartz believes in people and puts his faith in his community into action. As a district administrator charged with developing a strategic plan for the school district, I immediately turned to Don for his involvement on our committee. True to form, Don Schwartz became the most involved and driving force in the extensive strategic planning sessions. He worked with staff, parents, student, school board members, community members, business partners, and politicians to develop plausible and real world solutions to the district’s commitment to college and career readiness. Because of Don’s work, the district had not only a strategic plan but also incredible action plans to meet and exceed goals, goals that closely tied the community to the students and staff of the school district. Personally and professionally, I have found Don Schwartz to be an outstanding mentor, incredible thinker, and voracious problem-solver. His passion and compassion are contagious. In all honesty, I can state that this community would not look, feel, or be what it is today, a great place, without Don Schwartz. Because of him, the grass is greener, the community is stronger, and the future is brighter. I have seen it through the students and lives he has touched, including mine. Don has a unique skill of building private-public partnerships. He is a natural leader and an open-minded problem solver. He seeks to find a balance between both public and private views and is experienced in making connections between the two to reach an optimal outcome. The background he has developed in his public roles blends both a civic-minded greater good idea with an understanding of how the private sector can benefit form getting involved to make it happen. I’ve been active in many Chambers of Commerce and even a past president of one. I enjoy the camaraderie of other professionally minded community leaders. Don was a great find when I joined the Hales Corners Chamber. 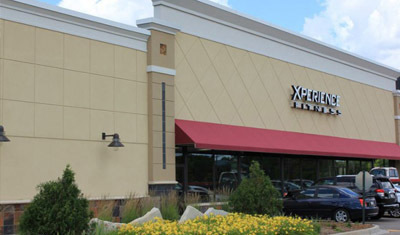 Being a smaller community, they often barely exist in such a suburb. Here was Don who is well connected through many sources both public and private organizations. He has an obvious love for this community and someone you can count on to get things done! He sees an issue, organizes a group of leaders, carves out an achievable goal and moves forward to accomplish that objective. He has the unique ability to see the big picture, know the details that take to get something done and can coordinate the people into a coalition to move forward! I’ve enjoyed working with him on the HC Chamber’s Sign Committee. He showed me that the Village of Hales Corners can be counted on to partner with the business community to make it better for both citizens and business! We didn’t get everything we hoped for, but we got a great start on building a better environment for growth in HC. Don – to you I say thanks for all you do for the businesses, parks, citizens and village. We would like to express our sincere gratitude for your letter in support of my husband (and myself) in his petition to obtain legal permanent residency. Your letter meant the world to us, and I am certain it played a part in what I am happy to report was a successful request – his permanent residency was approved. We are very happy to be back in our Hales Corners home of 9 years and among community-oriented people such as yourself. Sixteen years ago in 2003, the residents of the Village of Hales Corners and surrounding areas were faced with the possible closure of the Hales Corners Pool at Hales Corners Park, along with plans to demolish the pool house. To help keep the pool open, a group of citizens in 2003 formed the Friends of Hales Corners Pool, a non-profit organization, with the mission of keeping the pool open to benefit the families and youth from all communities in the area. The citizen group, led by Village of Hales Corners resident and Village Trustee Donald Schwartz, were successful in keeping the pool open and have taken on many projects to improve the pool, including painting the entire pavilion, inside and out, which hadn’t been done since President Johnson was in the White House, and have either purchased, received donations, or been the beneficiary of Eagle Scout projects, for pool equipment, toys, picnic tables, deck chairs and tables with umbrellas. In 2009, the Friends group established a community-wide recycling program in 2009 with dozens of businesses, citizens, and community organizations in the Village of Hales Corners. Friends President Donald Schwartz formed partnerships with several businesses and community organizations in the Village of Hales Corners to have them place recycling containers at their business or organization for residents to drop off their aluminum cans. The cans are collected and taken to a recycling center, where the Friends group receives payment, and that money is earmarked towards continued fundraising efforts for projects the Friends are involved with. 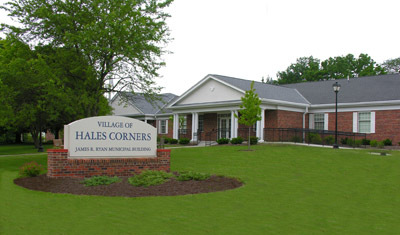 Because of the success of the group and the continued relationship of the group with the Village, County, the Hales Corners Chamber of Commerce, and local businesses and community organizations, Friends President Donald Schwartz led an effort in 2012 to expand the mission of the group to not only include support for the Hales Corners Pool, but also the entire park, therefore having the group renamed to the Friends of Hales Corners Park & Pool. 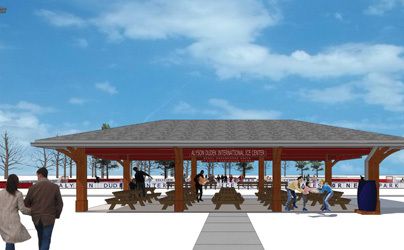 The expanded mission of the Friends group took a giant step in 2013, as Donald Schwartz led the effort to begin plans to build the Alyson Dudek International Ice Center in Hales Corners Park, with the addition later on to build the Jerry and Dorothy Holz outdoor shelter. The Center is named in honor of lifetime Hales Corners resident Alyson Dudek to recognize her achievements in speed skating and winning the Bronze Medal at the 2010 Winter Olympics in Vancouver. The outdoor shelter is named after the foundation who made a substantial donation that was secured by Mr. Schwartz. The goal is to build a 100 x 200’ outdoor ice rink and a 22 x 49’ outdoor pavilion with restrooms, concession area and storage. The ice rink will be open to the public free of charge during the winter months, weather permitting, and will be located northwest of the Hales Corners Park parking lot, south of the kiddie pool. As President of the Friends group, Donald Schwartz has worked tirelessly with Milwaukee County Parks to get the project approved, an effort which took several years. In addition, Mr. Schwartz has met with Plunkett Raysich Architects (PRA) and Hunzinger Construction, who have been valuable partners with this project. The Center will stand among other community treasures, including the pool, the Veterans Memorial, Jake’s Rock, basketball courts, picnic areas and softball fields. The Friends group has been working to fundraise to have the Center built in its permanent location since plans began in 2013 and is almost at its goal. The money raised for the project would not have been possible without the tireless efforts of Friends President Donald Schwartz, who has applied for and been awarded grants from local foundations. While this has been a huge undertaking, Mr. Schwartz has maintained focus on other areas of the park and pool for continued maintenance and improvement. This has included the addition of a 50 x 80’ sand volleyball court that was constructed in 2015 to expand the recreational offerings of the park and to offer sand volleyball leagues as an additional method to raise funds for the Friends group. In the winter months, the volleyball court is converted to a temporary ice rink until the permanent structure is in place. The temporary rink is assembled, maintained, and disassembled by Friends volunteers. Donald Schwartz also supported a suggestion from a fellow Friends member to install a large screen television, complete with cable and internet, in the pool house. This made it possible to host community events inside the pool house, including NFL Draft parties, Packer game viewing parties, and a Road Rally as additional fundraisers. At the time of installment, it was the only Milwaukee County park that had a large screen television as an amenity in one of its buildings. Since the Friends group began, the group works diligently each spring to clean the building and locker rooms prior to the opening of the pool. In its early years, the group was small in numbers who would attend the spring cleaning of the pool. In an effort to increase numbers in participation, Friends President Donald Schwartz reached out to other members of the community for their assistance, who have positive relationships with community organizations, and have them become members of the Friends group. Today, the number of volunteers has increased to three-digits, to include not just residents, but members of community organizations and school groups who volunteer at the cleanup. 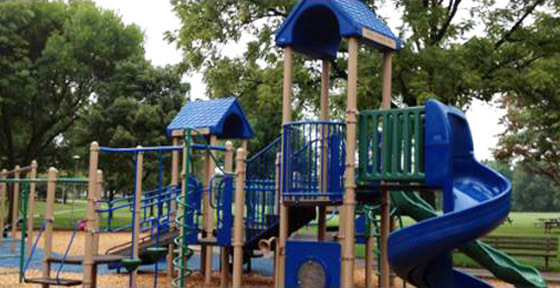 With the efforts of the Friends group and the continued partnership with Milwaukee County Parks, the Village of Hales Corners, and area businesses and community organizations, the result is an approximate $1.7 million positive economic impact in Hales Corners Park, and when the Alyson Dudek International Ice Center and Jerry and Dorothy Holz outdoor shelter projects are complete, the impact will exceed $2 million. So how did a group become so successful and continues to do so, where another community can learn from in order to start up and maintain a public-private partnership? It all begins with having the right people who follow their actions, which also happens to be their passion. Donald Schwartz has been President of the Friends group since its inception, and one of his passions in life is to bring people together who have a common vision and goal to work together with government, businesses, community and other organizations, to implement public-private partnerships where appropriate, to achieve those objectives. This is all meant to maintain and enhance the quality of life in the community. Mr. Schwartz continues to actively seek out people who share that vision to work with him in the Friends group on projects and continued fundraising. Having the right people in place also involves being able to form positive relationships and partnerships with key stakeholders. Donald Schwartz has been able to achieve that as part of his involvement as a Village Trustee, and as a Past President of the Hales Corners Chamber of Commerce. Mr. Schwartz has made many connections in the community, ranging from residents, to business owners, and leaders of other community organizations. Being able to have a positive partnership with stakeholders certainly has helped Mr. Schwartz and the Friends group follow their actions with their passion. Lastly, being able to continue to work in partnerships, even if the vision does not agree at times. Donald Schwartz has spent many hours representing the Friends group at meetings with Milwaukee County Parks to gain their approval on continued maintenance and future projects. With the ice center project, there have been “road blocks” at times, but Mr. Schwartz effectively used his network of resources to continue to work with the County, architect, and construction company to work on solutions that all parties can agree to. This proves how a leader follows their actions with their passion, and Donald Schwartz will do everything he can to not let his passion die. Overall, the Friends of Hales Corners Park & Pool has been a very successful group which began with being challenged with a political issue in their community, and continues to work today to maintain the quality of life at Hales Corners Park by assisting Milwaukee County Parks with maintaining and expanding park amenities. With that, this group, along with Milwaukee County Parks and the Village of Hales Corners, is very deserving of recognition for public-private cooperation with the Wisconsin Public Policy Forum’s Salute to Local Government award, and can serve as a model for other local governments and community organizations. 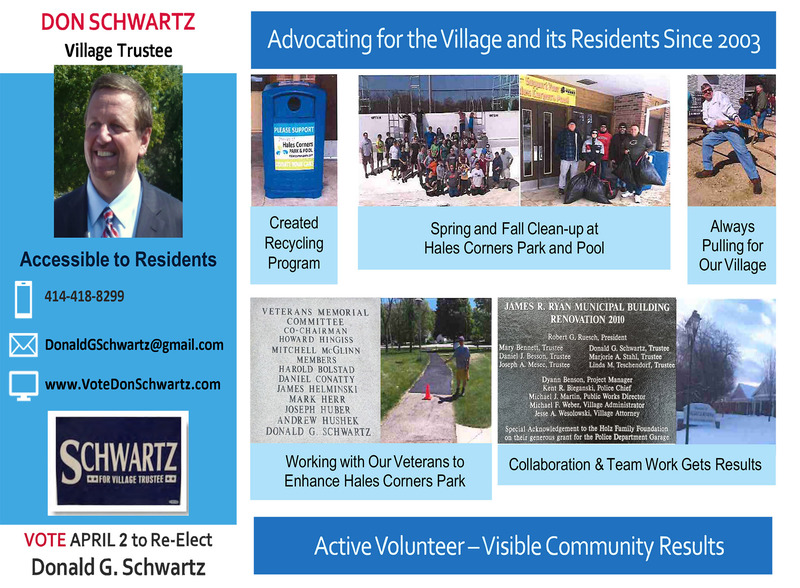 I am writing to endorse one of the candidates for Hales Corners Village Trustee, Donald Schwartz. 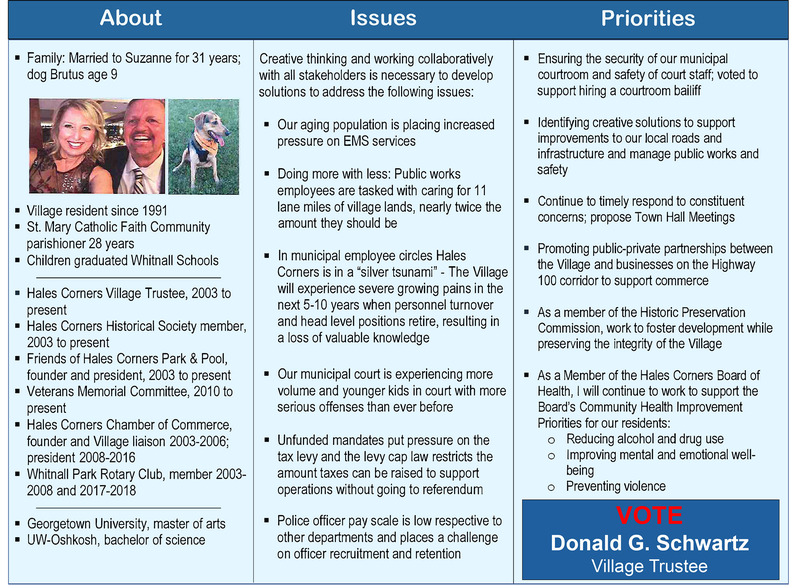 As a resident of the Village, I believe that Don Schwartz is the face of Hales Corners, evident by the different areas of involvement he supports for the community. We met while working on the 4th of July Committee over 10 years ago. I was pleasantly surprised when he not only attended the planning meetings and shared the to-do list with new volunteers, but he also shared his insight on completing such a large task for the village. He rolled up his sleeves and got involved in many aspects of the planning, and the day’s festivities either helping out serving water to the Firecracker 4 runners in the early morning, midday at the bed races or in the evening ensuring the crowd got a spectacular show from the firework vendor. He loves the community he serves, just as much as he loves planning to make it a better one. Check out his recent flier, which prompted me to write. I am always truly amazed at how much he does for us and believe what separates Don from the pack is that he isn’t a behind the scenes public figure, he lives it. Thank you, Trustee Don Schwartz, for your generous, honest, dependable, and persistent efforts to serve all residents of Hales Corners through your service on the Village Board and through your countless volunteer hours to ensure our Hales Corners Pool stays afloat (!) and our Alyson Dudek Ice Rink is on solid ground (!) in addition to so many other village initiatives. 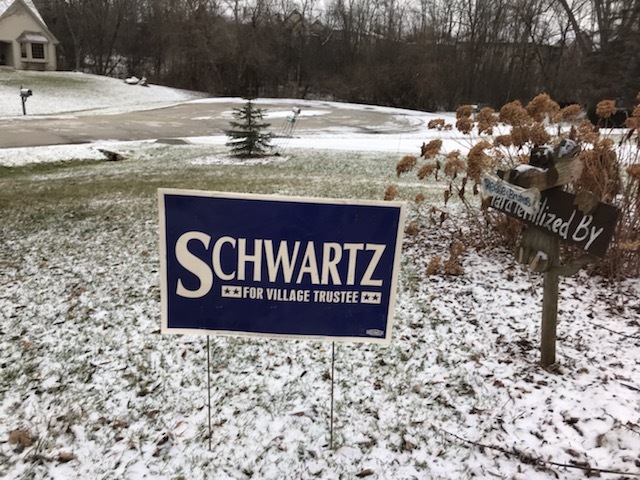 My husband and I support Don Schwartz in his bid for re-election to the Hales Corners Village Board. We have known Don since we moved to Hales Corners 10 years ago. It was through his encouragement that we got involved with community organizations such as the Hales Corners Chamber of Commerce and Friends of the Hales Corners Park and Pool. Don is committed to maintaining the quality of life we enjoy in the Village of Hales Corners. His enthusiasm and leadership is evident, from his service as a Trustee, to the Veteran’s Memorial, to the Hales Corners Pool and to keeping residents abreast of developments and advocating on our behalf. We encourage other residents to support our Village and vote for Don on April 2nd.